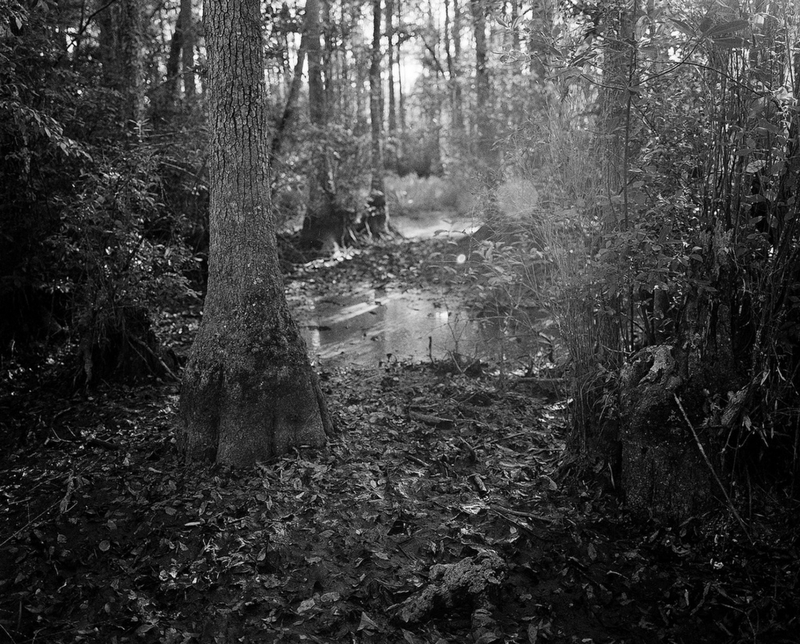 There is no marker or monument at Cabin Pond, a small swamp in rural Southampton County, Virginia where the slave Nat Turner first received a vision that it was his assigned task to free America's slaves with a rebellion. Cabin Pond is also where Turner planned the rebellion in the summer of 1831, and where he fled to hide after its failure several weeks later. He was captured about a mile away. This picture is of Cabin Pond in rural Southampton County, Virginia. I took it in memory of Nat Turner, a slave who organized and led a slave rebellion in the summer of 1831. Nat Turner was a preacher and a slave who assiduously read the bible. While spending time at Cabin Pond, he had a vision that God commanded him to free his fellow slaves. He used the secluded location of this small pond to plan his rebellion. Because the rebels murdered white men, women and children, killing over 60 people, on the plantations that they came upon, he remains a controversial figure, and one who struck tremendous fear in slaveholders who were often vastly outnumbered on their rural plantations. After the rebellion was brutally crushed, and Turner was captured hiding less than a mile from Cabin Pond, Virginia passed a series of laws vastly restricting slave movement and making it illegal to teach slaves to read. The southern states wanted to erase the memory of Turner’s rebellion, and even to this day, they largely succeeded. Cabin Pond was not an easy location to find and photograph, and there are no historical markers letting you know you are there. With the assistance of a local, I drove down a dirt road, pulled over to the side where instructed, and hiked through some tall bushes to what is more of a swamp than a pond. For me, bushwhacking through the scrub is what this whole project was all about; remembering what others would have us forget.